Reduce costs and simplify operations. Mooring Line Monitoring is a “set and forget” system that helps operators reduce the need for costly inspections. Neither maintenance nor personnel is required, as the autonomous sensor system immediately transfers data through a satellite alarm if a mooring line failure is detected. 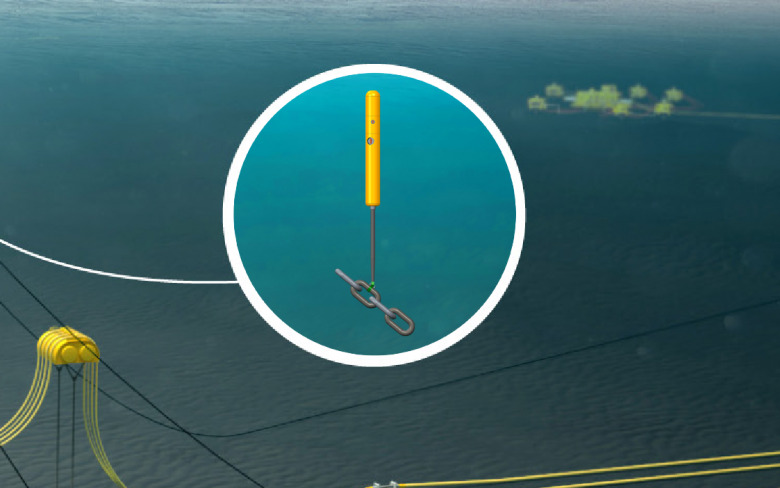 The 4Subsea mooring line monitoring system was developed to detect failures in mooring lines immediately and without the need for costly inspections. The system consists of a sensor that detects abnormal effects and an autonomous floating satellite communication modem. The sensor can release the modem to transmit information to all required units once a predefined condition is met. 4Subsea has provided monitoring services on more than 50 drilling and completion campaigns. The same system with additional sensors is also being used for integrity monitoring of wellheads, drilling risers, and conductors.